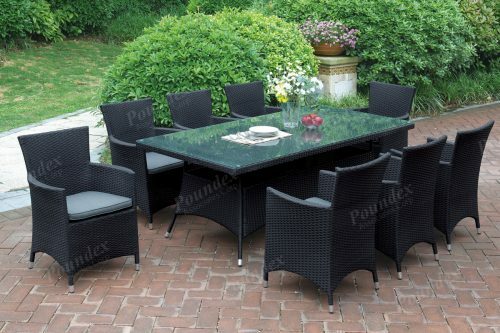 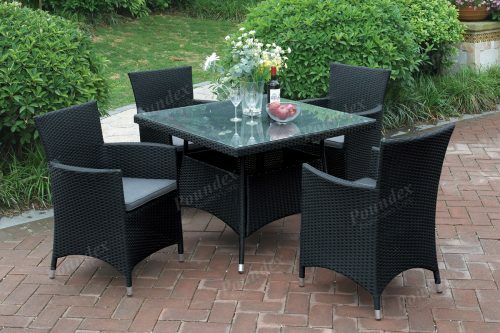 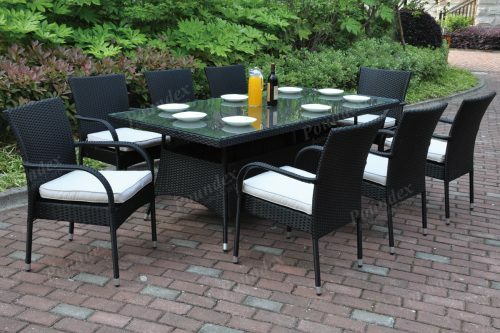 Dining season is all year round, so enjoy a meal with this 5-piece patio table set that includes furnishings framed in aluminum and durable wicker resin merging a classic and contemporize. The round table features a glass countertop and a wide square base support. 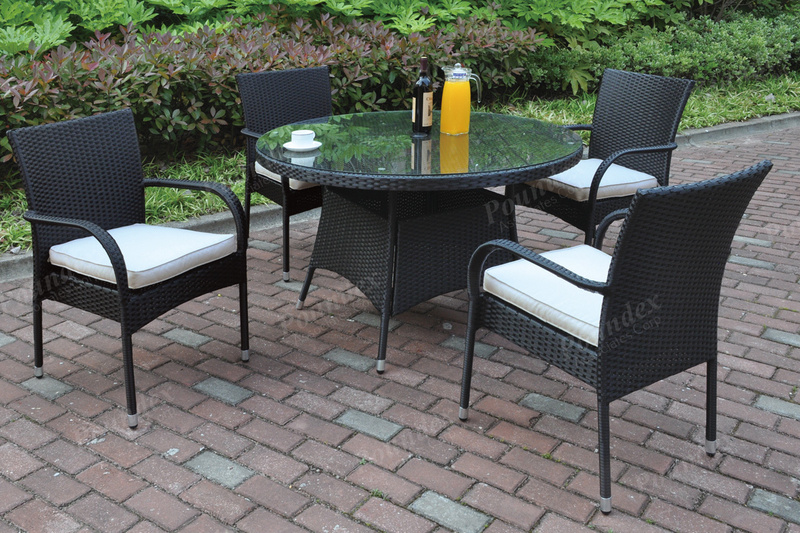 Each chair has a square back support with curved arm rest. 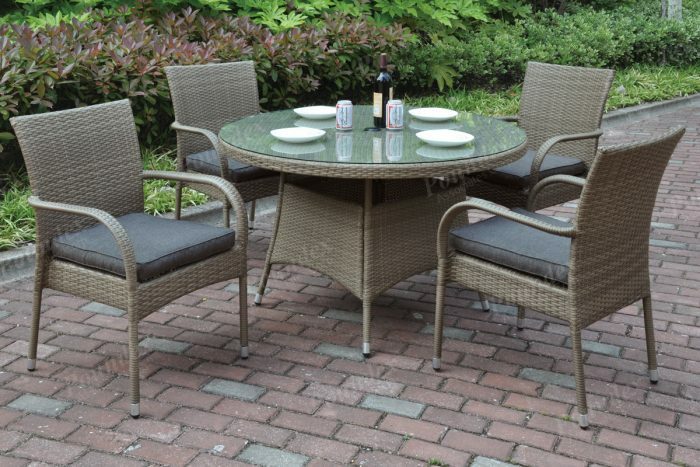 Each piece is rust-free with material that is also weather, fade, and heat resistant. 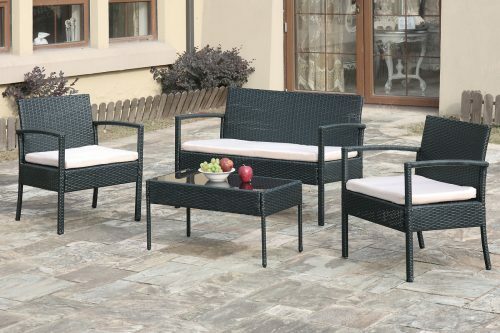 Available in dark brown and tan.